A government source has revealed that former President of Zimbabwe, Robert Mugabe begged to be allowed to return to the country as he doesn't want to died in exile. Incoming Zimbabwe leader, Emmerson Mnangagwa, assured former President Robert Mugabe, he and his family would be safe in the country, state media said on Friday. The State-owned The Herald newspaper said Mugabe and Mnangagwa, who is set to be sworn in as president later on Friday, had agreed that the former leader may not attend the swearing-in ceremony because he was tired. 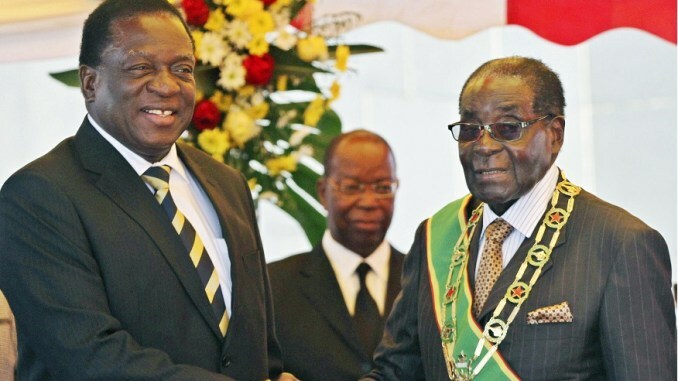 Also, the Southern African Development Community (SADC), an intergovernmental organisation, said on Friday that it was ready to work closely with Zimbabwe’s incoming leader Emmerson Mnangagwa and his government. Mnangagwa is due to be sworn in as Zimbabwean president on Friday following the resignation of Robert Mugabe, who had ruled Zimbabwe since independence in 1980. Similarly, Mugabe was granted immunity from prosecution, sources close to the negotiations said on Thursday. Mugabe led Zimbabwe from independence in 1980 but stepped down on Tuesday after the army seized power and the ruling party turned against him.